“Beauty is not a matter of gender, it is a matter of style.” That’s according to Chanel’s new make-up line, Boy de Chanel. Launched in South Korea last year before being rolled out around the world, the range is part of a wider movement in the cosmetics sector: make-up for men. While it has long been considered acceptable for women to don lipstick, foundation and a whole range of other cosmetic products, a stigma has persisted around male grooming – to some, a man who cares about his appearance is somehow less of a man. This stigma, however, appears to be gradually eroding: the likes of Tom Ford, Estée Lauder and L’Oréal have all joined Chanel in launching their own male make-up products. Although the market for men’s cosmetic products has expanded rapidly in recent years, these brands are still taking a sizeable risk. While make-up for men has achieved a significant degree of popularity in many Asian countries, the phenomenon remains limited – albeit fast-growing – in the West. Social media, and indeed social change, may be making it more acceptable for men to buy and wear cosmetics, but winning over the mainstream may prove more challenging. Even as the female cosmetics market continues to dominate the beauty industry, products aimed at men are becoming more popular. In fact, according to Euromonitor International, the male beauty segment has been outpacing its female counterpart in terms of annual growth since 2010. Allied Market Research, meanwhile, predicts the personal care market for men will reach $166bn (€145.6bn) by 2022, representing a compound annual growth rate of 5.4 percent. Clearly, businesses would be wrong to ignore any sector boasting such impressive figures. Alongside some of the cosmetic industry’s biggest names, a number of smaller firms are carving out a niche for themselves in the male grooming market. 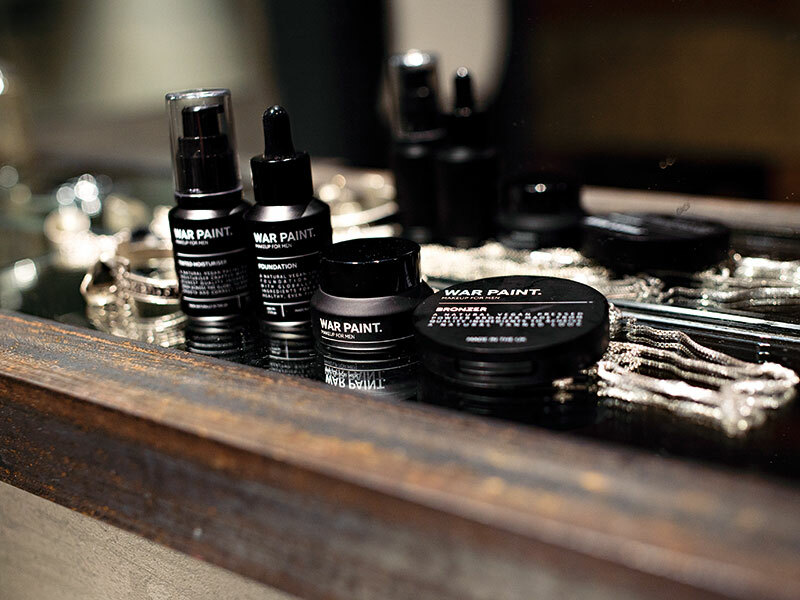 War Paint, a UK-based make-up firm, has achieved success by launching make-up lines that are exclusively aimed at men. There are also practical reasons why men might want to purchase from a brand that has a decidedly male focus. As a result of their higher levels of testosterone, men’s skin is both thicker and oilier than women’s. Facial hair, whether a man is generally clean-shaven or not, can also affect which skincare products will be most effective. But the growth of male grooming products, while undoubtedly impressive, should be placed within the context of the wider industry. 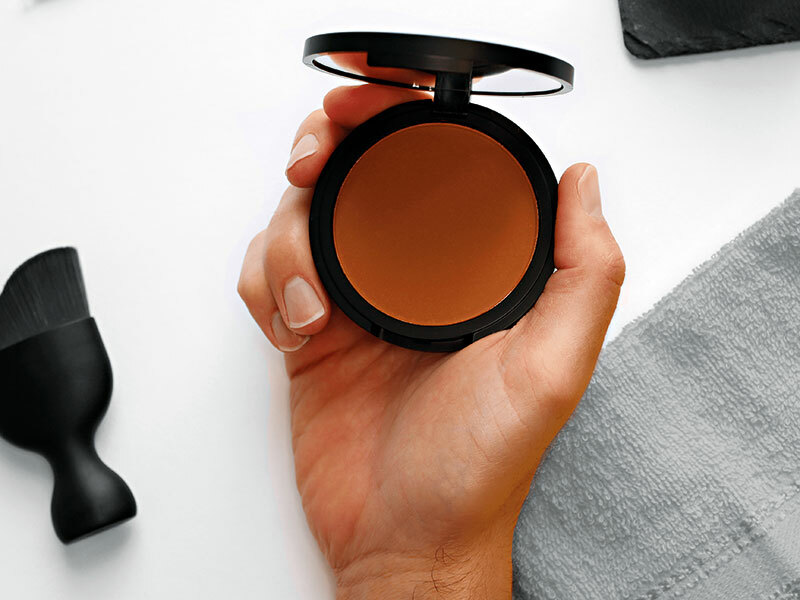 It is easy to get caught up in the hype when male make-up artists have millions of social media followers and household fashion brands are starting to launch their own ranges for men. In spite of this recent popularity surge, male cosmetics still represent less than one percent of the global beauty market. It is important to remember that wearing make-up is not purely about improving one’s appearance: it is also about feeling more confident. A study by Procter & Gamble found individuals wearing make-up were perceived as more competent than those who went without. Research from Harvard Medical School also found evidence of the ‘lipstick effect’, whereby the wearing of make-up can give individuals a confidence boost. While both these studies focused on women, there is plenty of anecdotal evidence to suggest similar phenomena in men. A wide variety of men have already started to feel the benefits of make-up use. One of the target demographics for new brands is image-conscious executives, who may well be drawn to the career benefits that can be derived from feeling good about the way they look. A psychological study carried out by Ohio State University in 2014 found a clear connection between an individual’s career path and their levels of self-confidence. If make-up can help with the latter, then it could fast become a boardroom staple. The connection between confidence and corporate success has long been known. As the male make-up market grows, the likelihood of high-flying executives using cosmetics is likely to increase alongside it. In a business world where fine margins can be the difference between success and failure, the confidence boost derived from blemish-free skin could be significant. In order for business professionals – or any other men, for that matter – to benefit from the self-esteem boost that can come from wearing make-up, they’ll first have to overcome any remaining stigma surrounding its use. While progress is undoubtedly being made, there remains some way to go. Men’s Make-Up UK, for example, claims that between 20 and 30 percent of its customers want their names removed from parcels and to have their products put in plain packaging. Other markets, particularly those in Asia, are showing the West how to break down the gender barriers associated with the cosmetic industry. In South Korea, for example, the average per-person expenditure on male skincare is more than 10 times that recorded in the US or France, according to Euromonitor. Brands also have one eye on China, where the beauty market is expected to more than double by 2030. Men’s make-up isn’t really new: Jean Paul Gaultier launched a range of mascaras and eyeliners for men in 2003. Looking back further, make-up has played an important role in male grooming throughout various periods of history. It has, however, long been out of fashion in mainstream circles in the western world. That may finally be changing: both inside the boardroom and out, men are starting to feel more comfortable wearing make-up, whether in a bid to boost their self-confidence or to simply express themselves.